You know those awkwardly warm seats on the train or bus that creep you out seconds after you sit down but you don’t really have the will to change seats? As it turns out, that kind of heat from your behind can be crowdsourced to create a chair that comfortably fits the average person while helping them maintain a balanced posture. 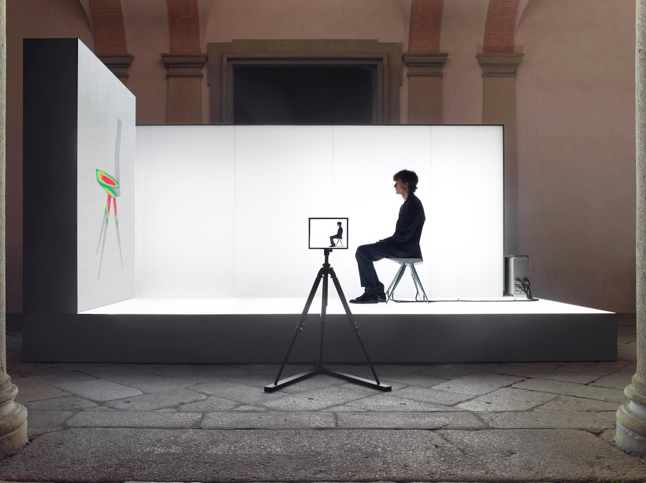 As part of a design project at the 2012 Milan Furniture Fair, German designers Clemens Weisshaar and Reed Kram connected a chair with stress analysis monitors and asked various patrons to have a seat for some detailed information. 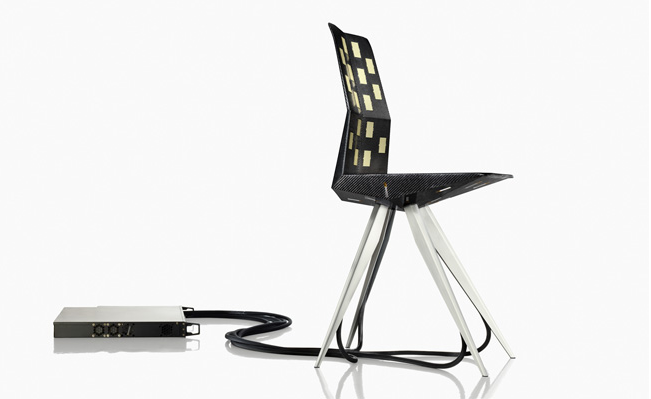 Coordinating with carmaker Audi, the prototype of the carbon fiber and aluminum R18 Ultra Chair recorded in heat map the and weight applied to the back, seat, and legs of the chair to determine the areas of stress most received. The data was later used to construct a chair that will be materially and structurally efficient and comfortable enough to provide the most accommodating chair to date. The idea is similar to custom sports car seats where drivers sit on the foam mold of the chair several times so the topographic data of body is observed. The mold is curved to perfectly support the shape of the driver’s back and behind for an individualized seating before manufacturers complete the chair with leather outfittings. With this chair crowdsourcing, Audi and Kram/Weisshaar took this method to a more consumer level by introducing the concept on a furniture standpoint. From what we can see in the heat map of stress on the chair, some people certainly need posture improvement while others barely touched the back of the chair. Heavier sitters also are likely to cause more stress on the legs of the chair, which will prompt the designers to build a stand that makes good use of material while sturdy enough to support various weights. Staying true to the Audi Ultra name, the designers promise the chair will be lightweight and streamlined across the board. The prototype arrived in a flatpack and assembled on-site, so perhaps the same model will be applied after the modified version is revealed. The unveiling of crowdsourced R18 Ultra Chair will be available at Design Miami in December of this year, we where also hope pricing information will be available for the most over-engineered chair to date. Watch the video below and see how the movements of one subject affects the chair’s stress points. More videos can be found at the official project page. How can EA save Star Wars: The Old Republic after losing 400,000 players in two months?